At Secure Restoration, we understand the stress and heartache that can be caused by water damage in your home. Our team has years of experience in helping our customers with every step of the water damage restoration process. From water extraction to working with your insurance company we are here to help. A home fire is one of the worst catastrophes a homeowner can experience. You can trust our restoration crews at Secure Restoration to help you with the devastation and the rebuild of your home. We will handle your project quickly and efficiently so you and your loved ones can bet back into your home as soon as possible. When you are in need of fire damage restoration, call us any time, day or night. Finding mold in your home is disconcerting for property owners. Whether it is the smell or the sight of mold that has tipped you off, you will want an experienced mold removal company to do the remediation. At Secure Restoration, our crews have been trained not only in mold removal but to find the source of moisture that has started the mold growth. 24/7 Emergency services available for water damage restoration, mold remediation, & fire damage restoration. This neighborhood tucked within northwest Port St. Lucie is surrounded by natural lakes, which may make its homes susceptible to water damage in the midst of heavy rains or storms. Fortunately, Secure Restoration’s Port St. Lucie location allows them to access this part of the city easily, whether they’re in need of water removal, mold remediation, or fire damage restoration. This waterfront city stands just north of Port St. Lucie, but it is still close enough for residents to use the services of Secure Restoration. They can take comfort in knowing that services such as flood damage removal and water removal is just a phone call away, especially since the city stretches across the Indian River and onto the shores of the Atlantic Ocean. This laid-back community is well north of Port St. Lucie. Yet Secure Restoration’s teams can still get to the city and help them with their damage restoration needs fast, such as water damage restoration. Considering the city runs along the Atlantic Ocean, this could be important to know. Located further up the coast from Port St. Lucie, this city is still located within Secure Restoration’s service range. While some of the city is on the water, the majority of the city is land-locked. Yet Florida’s heavy rains may make the city susceptible to water damage, not to mention other unpleasant items like mold and fire damage. Fortunately, Secure Restoration can help with all of these situations. This sprawling town is at the northern end of Secure Restoration’s Port St. Lucie service range. It is stretched out along the banks of the Indian River, and has several bodies of water flowing through it, making it a prime candidate for flooding and water damage. One call to Secure Restoration could help residents get through any kind of flood damage restoration or water removal that they need, as well as mold remediation, fire damage restoration, and more. When home gets damaged, it will invariably drum up several negative emotions for you and your family. You are left with a sense of vulnerability, as the security that you rely on your home to provide has been breached. The best way that you can regain this sense is to repair the damage as efficiently as possible. To that end, there is good news for families in the Port St. Lucie area, as Secure Restoration can restore your home back to health effectively and efficiently. Secure Restoration offers professional services to clean up and repair your home after it has been damaged by mold, water, fire, flood, and more. The goal with our efficient services is to not only restore your home, but your piece of mind. That’s why families in the Port St. Lucie area have been contacting home repair companies like Secure Restoration to help them move past devastating home-related events. Contacting us will be the first step to getting your house and your well-being back to normal. We are not a fly-by-night company. Secure Restoration is certified by the Institute of Inspection, Cleaning and Restoration Certification (IICRC), a certifying body whose procedural standards for the inspection, restoration, and cleaning industries are utilized in over 25 countries. Some of the standards the body is associated with include carpet cleaning, fire restoration, mold remediation, odor control, and water damage. Regardless of what company you consider to repair your home damage, it is important that you make sure the company is certified. It is always within your rights to ask for credentials as well as a written estimate of the work needed and a written invoice or contract. You should never settle for anything less. While it may be financially tempting to go with a company for the sake of time management, having your home repaired by a non-certified technician could do more harm than good. Few home-related maladies can fill a homeowner with a sense of panic more than mold. While spores may be small, they can not only be the root cause of severe cases of property damage, but they also have the potential to wreck havoc on a person’s overall health. If you’re lucky enough, you’ll be able to catch the development of mold in its early stages and stop it before it spreads. However, if the problem becomes too widespread – and it can in as little as 48 to 72 hours – it’s imperative that you call in certified professionals specializing in mold removal in Port St. Lucie. At Secure Restoration, our team of certified technicians will respond to your needs efficiently. They won’t stop until every mold spore is completely removed from your house, from places that you can see as well as places that may be hidden from your view. Our process of mold removal in Port St. Lucie is simple. First, we conduct a mold assessment in order to make sure each speck of mold is located. Once we have a full understanding of the mold damage, we’ll use our industrial tools to completely remove mold from your home. This may include removing carpet and carpet pads, cleaning out wall cavities, clearing out your HVAC systems, and more. We’ll also check to make sure that there are no active areas of water leakage in your home. This is done because mold thrives on moisture, and taking these preventative measures are essential in preventing mold growth. We at Secure Restoration know that mold is unpleasant. Yet if you are ever faced with a scenario in which mold removal is necessary, you can at least rest assured that we are here for you. 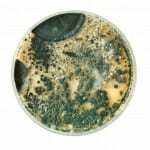 The key to understanding mold is that its microscopic spores are nearly everywhere, both inside and outside your home. As long as these spores float around at a normal, natural level, they’re no big deal. Yet all it takes is a little water leakage or excess moisture for mold to build excessively and wreck havoc. This is why mold remediation in Port St. Lucie is so critical; its primary focus is to make sure mold is reduced to natural levels before it can cause serious damage. Secure Restoration can help you make sure that the level of mold in your home is at natural levels. We will start our complete mold remediation process by giving your home a top-to-bottom assessment to determine its mold levels. Once this has been determined, our primary step will be to stop the source of moisture causing the mold to proliferate. This step could range from repairing a wall or a roof to replacing a window that leaks. We will then ensure the moldy area is completely dried before it is cleaned away. Sometimes, the process of mold remediation involves removing certain home structures or even decorations. However, we will use vacuums, dry ice blasting, and other methods if the mold cleanup process is less severe. We won’t use hot air or fungicides, as they have both shown to be unsafe. Regardless of how big or small your mold problem may be, Secure Restoration’s mold remediation services can help you put an end to your mold issue before it has a chance to do more damage. Call us if you need us! Water is a sneaky, powerful substance. Over time, the persistent presence of water can warp, bend, or erode materials, including the elements used to build your home. This is why it is so important to act as quickly as you possibly can if you have water damage in Port St. Lucie. If you have a burst pipe, a leaky dishwasher, or a similar issue, the resultant water damage practically increases with each passing minute that you don’t act. Because of the delicate nature of water damage, any reputable Port St. Lucie water damage restoration company should be able to respond to your needs quickly around the clock. Secure Restoration knows that water damage does not keep a set schedule, and we will be there for you 24 hours a day, 7 days a week. One call is all it takes to get us to your home within minutes to help you with your water damage restoration. We will get to your home as quickly as possible. In the interim, you will need to make sure it is safe to stay in your house, and that there are no flooding or electrical hazards that have developed due to the presence of the water. This is step 1 of a six-step process. When our team of certified, highly-skilled technicians arrives, they will begin step 2, which is to identify and seal the spot where the water is coming. You may have taken care of this on your own, but if you did not, we will make this the first priority in restoring your home from water damage. The third step taken will be a loss assessment and evaluation. This step will determine how much damage the water has done and estimate what the cost of the repair will be. Step 4 is built around removing the water and drying the affected area through a host of different techniques, depending on the items that need to be dried. Step 5 involves cleaning and sanitizing the area, and the final step will be to fully restore your home to its original condition. This step could include additional services such as replacing drywall, painting, sealing cracks and working on flooring. While there is some intricacy to some of these steps, keep in mind that Secure Restoration is certified by the IICRC to handle water damage restoration in Port St. Lucie. This certification ensures that you will receive the utmost in quality service, which translates to the best home restoration results possible. While water damage restoration could be an inconvenient procedure to go through, you can take comfort in knowing that the skilled experts from Secure Restoration’s water damage restoration team will produce end results that will make you extremely happy. Fire damage could be the most devastating thing that can happen to your home, because it feels so emotionally personal. This unique connection may make it a little extra stressful when the time comes to bring in a company to help you with home repair. Yet when it comes to fire damage in Port St. Lucie, Secure Restoration’s certified fire damage restoration service does everything it can to make this process less stressful. At Secure Restoration, we are keenly aware just how important being able to return to your home is, so we will work as efficiently as possible to help restore your home from fire damage, without sacrificing a strand of quality. If you experience fire damage in Port St. Lucie, you should call Secure Restoration as soon as you can after the fire. The longer you wait, the more damage that you could incur even after the fire has been put out. Before the team arrives, it is important that you be as careful in your home as you possibly can. For instance, you should never try to clean anything yourself, especially anything that is around electronic appliances. You should also make your movement through your home as minimal as possible. Keeping your movements limited will prevent soot from being further ground into fabrics or your carpeting. When Secure Restoration comes on the scene, our certified fire damage team will undertake a full and complete home inspection, including an assessment of the smoke’s impact, heat and fire residue, and even water damage that may have been done during the extinguishing of the flames. At the conclusion of the inspection, they will inform you of the items that can and cannot be saved. Once the assessment is completed, Secure Restoration will proceed with the process by undertaking steps like boarding up the home and tarping the roof. These steps are necessary in order to protect the house from experiencing further damage. If we conclude that there is water damage, we will remove and dry the water. We will also remove the smoke and soot from your home’s surfaces. The process concludes with a thorough cleaning, repair, and restoration. One these elements are completed, you’ll be able to return to your home. We know that any fire damage that your home may encounter might leave you with a feeling of hopelessness. Yet there is hope in this; most fire damage restoration services like Secure Restoration are able to restore homes to their normal state. If you’re in need of fire restoration services, give Secure Restoration a call. We’ll guide you through the process with a skillful hand and a sympathetic heart. Flood damage restoration in Port St. Lucie is a genuine need for residents. The combination of geographic positioning and heavy Florida rains could cause the various bodies of water that run through the city to overflow, which could cause flooding. Floodwaters can be a very powerful conduit for extensive damage. And seeing your home get ravaged by them could be an emotionally harsh thing to do deal with. Because of this, it is important you call a certified company that you can trust like Secure Restoration in order to handle your flood damage restoration needs. Flood water damage can reveal itself in slow, sneaky ways, as effects such as decayed wood, musty odors, and mold could develop after you think you’ve escaped the brunt of the consequences. This is why it is imperative that you call a restoration service company like Secure Restoration as quick as you can. The faster you make that call, the more you will be able to salvage. As you wait for Secure Restoration’s highly skilled, certified team to arrive at your home, there are a few proactive steps that you can take, such as mopping up any visible standing water, propping up wet furniture to dry, removing colored rugs from wet carpeting, and making sure your valuables are secured in a dry space. If your ceiling is wet, do not turn on any ceiling fixtures like fans. When Secure Restoration’s team come to your home, they will deploy tools that will allow them to gauge moisture levels in your home, which in turn will help them determine any potential havens for mold development. Once this assessment is complete, we can provide you with an accurate quote on the overall water damage restoration service in Port St. Lucie. The need for water removal in Port St. Lucie could stem from a host of different sources. It could come from a massive storm, hefty rains, or even a burst pipe from within your home. If any of these situations leads you to need a water removal service, your best bet is to give Secure Restoration a call. At Secure Restoration, we know that the need for water removal can strike at any time, which is why we’re available 24 hours a day, 7 days a week to serve you when help is needed. After you have called us and are waiting for us to arrive, you’ll want to do what you can to help minimize the damage. This could include stopping the water at its source if at all possible. You’ll also want to remove any electrical devices from the water-logged area, provided that the area is safe. You will also want to refrain from walking on wet carpet if at all possible. Additionally, you will want to slip small pieces of aluminum foil under the legs of your furniture, as this helps to prevent carpet staining. Make sure all of your valuables are secured in a dry area, and that your curtains are hung up. It is also critical that you do not turn on any fans or air conditioning, as they could spread contamination in the event of sewage-related water. Once Secure Restoration’s certified, highly-skilled team members show up on the scene, they will utilize state-of-the-art water extraction equipment like industrial strength wet/dry vacuums and pumps in order to remove water that is freestanding and water that has been absorbed by furniture, carpets, and pads. In the case of the latter areas, both may need to be removed in order to be properly dried. We’ll also use moisture detectors to measure in-home moisture and infrared cameras to find hidden water. At the same time, Secure Restoration will determine precisely what water entered your home. Essentially, there are three types of water that can infiltrate your home. Clean Water – This is water that will come from harmless sources like heavy rain, a broken water pipe, or a broken toilet tank. Even though the water is considered harmless, it is still important to act quickly on removing it, as it could become dangerous if left untreated for 72 hours. Gray Water – This is water that could come from toilets, washing machines, and dishwasher overflow. It’s dangerous because it could contain microorganisms, chemicals, and other various bio-contaminants that make it unsafe to drink. Its damaging properties could elevate if not treated within 48 hours. Black Water – This is water that could come from flooding from seawater and rivers or toilet overflows below the toilet trap. It’s dangerous because it includes sewage and other contaminated water, which could potentially compromise the health of the homeowner. Water removal in Port St. Lucie is a difficult task to deal with. If you are in need of such a service, Secure Restoration can help you get through this challenge. We’re on hand all day and night to help you figure out what kind of water is in your home, then work with you to remove the water so you can return to regular home life as quickly as possible. If you live in the Port St. Lucie area, and you are in need of any type of home restoration services, don’t hesitate to call us. If you need aid with mold, water, or fire damage or restoration, we’re available around the clock to help you, and with good reason. Swift and efficient action is oftentimes the most crucial element in restoring your home to normal in the most cost-effective way possible. You can get a hold of us easily in the Port St. Lucie area by messaging us on our website or calling us at 888-368-2840.